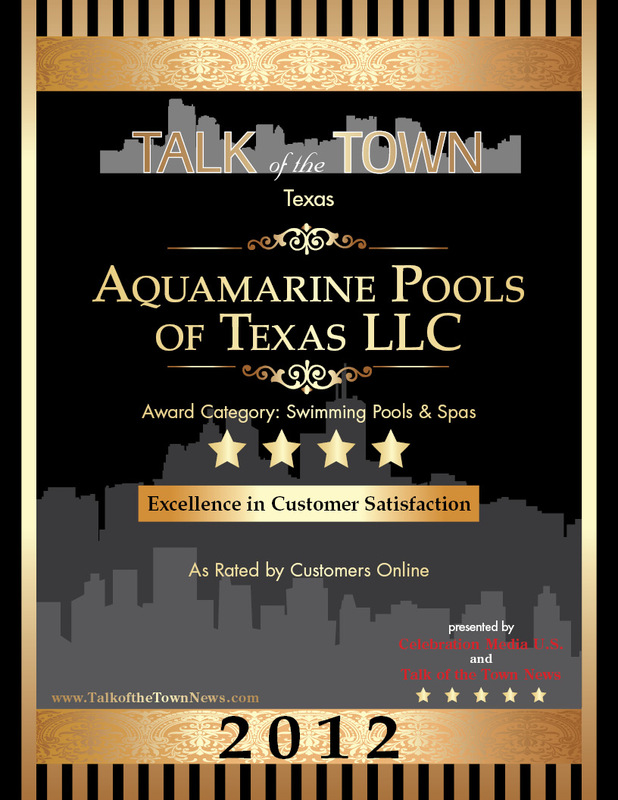 Congratulations are in order for the entire Aquamarine Pools of Texas LLC team for earning the Talk of the Town Customer Satisfaction Award once again in 2018!!! Congratulations! Only the very best businesses have been chosen to receive the 2018 CMUS Talk of the Town Award for Excellence in Customer Satisfaction (for the seventh year in a row). The award was created to showcase companies that excel in serving their customers and getting their high marks. 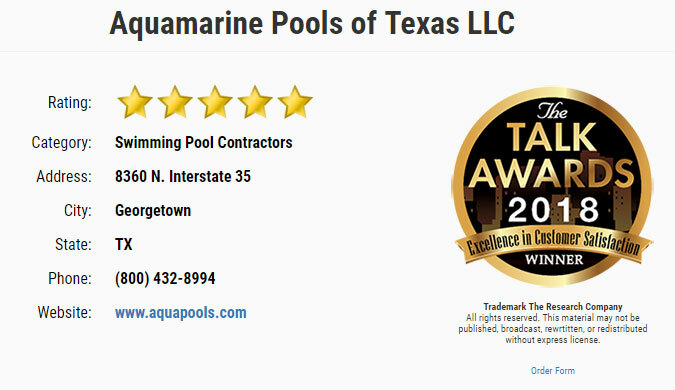 Customers of Aquamarine Pools of Texas LLC have spoken, scoring some of the highest ratings possible. 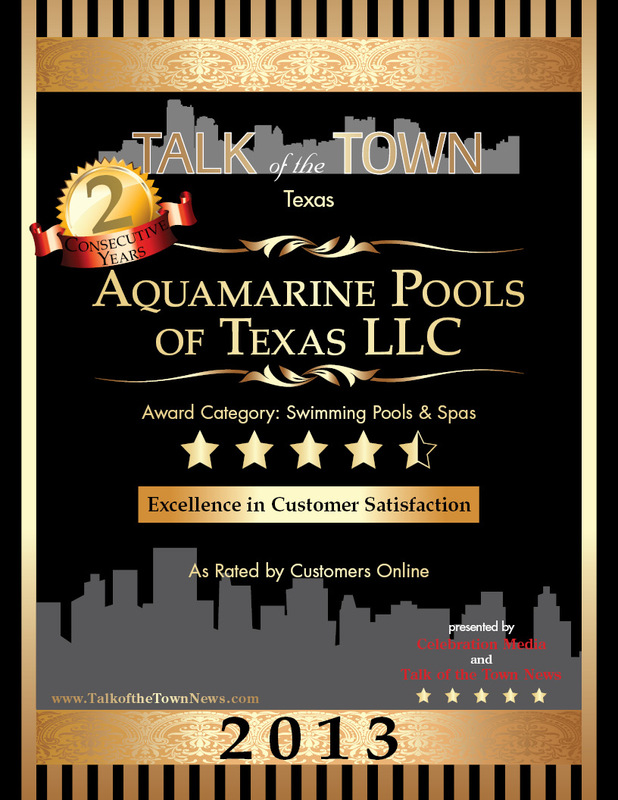 Based on our research gathered over the past twelve months, Aquamarine Pools of Texas LLC has earned top honors and now has its very own dedicated search page and listing on www.thetalkawards.com . Press releases and other promotional information will be sent to regional and national wire services announcing winners. GOOGLE THIS: CMUS 2015 Talk of the Town Awards Celebration Media U.S.
Congratulations for making a difference in your community and providing the services, products, management, leadership and staff that has earned your award rating.